Playseat and GIZORAMA Partner Up For the Holidays! We’ve partnered up with Playseat for the holidays to offer 10% off any Playseat order from now until Christmas! 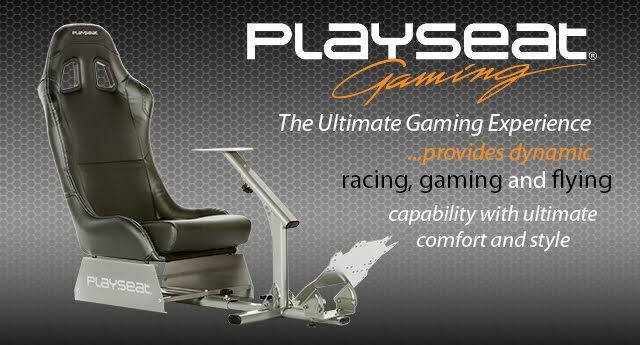 Unless you’ve been living under a rock, you should have heard about Playseat and their fantastic offerings by now. Transforming your gaming area into a realistic cockpit, let it be airplane or car, Playseat is there to make it more like the real thing. We recently had time to visit Playseat’s Washington location, and had nothing but great things to say about what we saw. We dug the new designs so much that we’ve partnered up with Playseat for the holidays to offer 10% off any Playseat order from now until Christmas! To redeem the code, head on over to Playseat’s store, add any item (or items) to your cart, and enter the promo code GIZORAMA10 on the payment screen for a 10% savings. Note that the code will expire December 26th, 12AM PST, so get your orders in while you can!